Rainbow has no affinity whatsoever with the owl in the famous children's book "The Owl that was afraid of the Dark". With big, wide Gloriously be-decked in a myriad of beautifully-coloured Swarovski crystals - garnet, fuchsia, topaz, olive, blues, gold, brown and jet - with big, wide jet eyes, Rainbow is no shrinking violet and absolutely thrives on bright lights and nights on the town. In fact, he comes alive surveying the scene from a lofty position on a lapel, pocket or hat where he attracts mega attention and compliments. 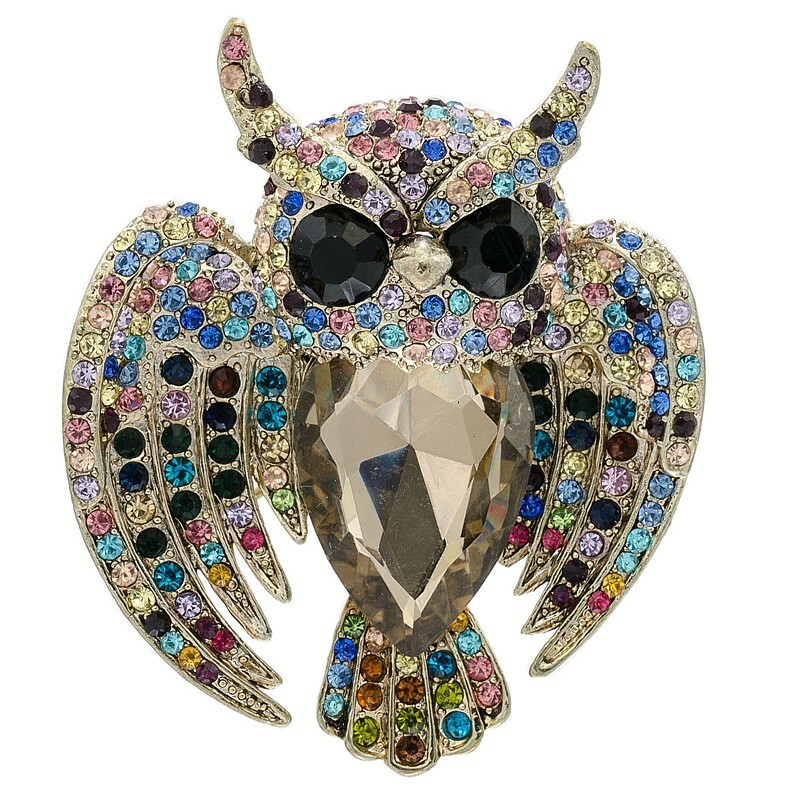 Brilliant on black and dark colours, but also superb on white and pastels, this stunning owl is a definite asset to any wardrobe. Size: 6.35cm x 5.34cm (2½" x 2").